Amedeo was born and raised on a family farm just south of Rome, Italy on April 2, 1943. He is the 4th of 6 children and he and his immediate family shared a house and the farm with his grandparents and other extended family members. At the age of 12, Amedeo was trained to be a stone (marble) cutter while his older brother (and now business partner) Armando was sent to live with and uncle in Rome to learn to be a truck mechanic. In 1962 Amedeo and his immediate family immigrated to the US and settled in Jamaica, Queens, NY. Amedeo, at the age of 19 continued to work as a stone cutter and 21 year old Armando worked as a truck mechanic. After two years, Armando bought a small repair shop called Jamaica Truck Repair, in Jamaica, Queens. Later, when both brothers were married with children, Armando asked Amedeo to join him in his business but Amedeo would only do so on the condition that he would be a partner from day one. He always had a desire and the ambition to own a business and now the opportunity finally had arrived. The brothers came to an agreement where Amedeo would be a partner and he would, over time, pay for half the company.The business grew and thrived thanks to the integrity and old fashioned work ethic on the part of the brothers. They were also lucky to have loyal customers, many of whom were also recent immigrants with burgeoning small family businesses. In 1976, Jamaica Truck Repair began stocking and selling truck parts from the Mack Truck company which had approved this fledgling business to become a service dealer, allowing them to sell parts and service trucks. They were now known as Jamaica Mack. In 1982, Armando and Amedeo bought a failing Mack Truck dealership in the Bronx. They were now a full service Mack Truck dealer which included sales of new and used trucks along with parts sales and truck repairs. The name of their business was now officially changed to Gabrielli Truck Sales LTD. Armando became the CEO and Amedeo, the President. Both brothers are married with five children each. All of Armando's children are involved in the family business in various positions. Amedeo has two adult married daughters, Silvana Loiacono and Marisa Gabrielli-Addeo from his late first wife, Anna Maria, with whom he was happily married to for 17 years. He has four grandchildren. Both daughters and their husbands work for the company. Silvana manages all of the Department of Motor Vehicles truck registrations while her husband, Frank Loiacono, runs the Medford, Long Island dealership. Marisa and her husband, Salvatore Addeo, work in the Jamaica, Queens location, she in the office and he in the parts department. After remarrying in 1987, Amedeo had three more children with his second wife, Toni. The younger Gabriellis are still single and currently pursuing their education and other careers. 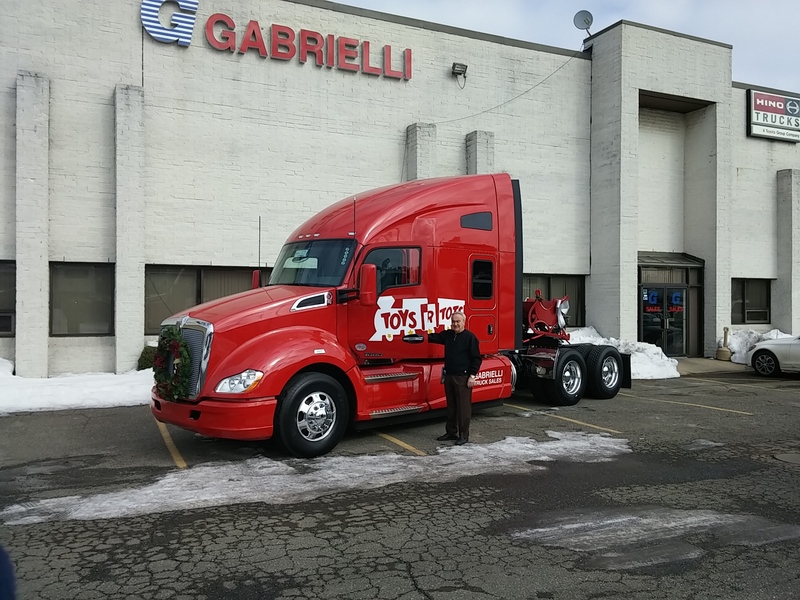 After more than 40 years, Gabrielli Truck Sales continues to expand with a total of 9 dealerships in New York, New Jersey and Connecticut. Gabrielli Truck Sales now also has dealerships with other truck companies including Ford, Volvo, Hino, Sterling. Kenworth and UDTrucks. They also eventually added another company, Gabrielli Truck Leasing LLC. The company employs over 400 people and the two brothers are still very much in charge and continue to get along splendidly as brothers and business partners. They plan on eventually turning the business over to the next generation - all educated, tech savvy and with their own ideas of how they are going to make this now large family business continue to prosper.